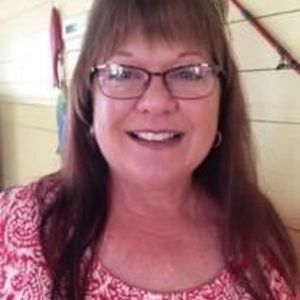 Kelly Davis Isaacs, 54, of Holly Springs, NC passed away on Sunday, September 17, 2017. Kelly grew up in Raleigh, NC and graduated from Millbrook High School and East Carolina University in Greenville, NC. Following college, Kelly taught special needs elementary children in Virginia for several years. Afterwards she returned to Raleigh and worked various jobs until she married and had two children. Kelly is survived by two sons, Christopher and Michael Isaacs of Holly Springs, NC, her mother, Jeanette Davis of Raleigh, NC, and two nephews, Davis and Cameron Day of Atlanta, GA. Kelly is pre-deceased by her father, Willis Walton Davis of Raleigh, NC and her sister, Kimberly Davis Day of Marietta, GA.
A memorial service will be held on Saturday, September 23, 2017 at 2 pm at Brown Wynne Funeral Home, 1701 E. Millbrook Road, Raleigh, NC 27609 with The Rev. Dr. Sally Harbold officiating. A reception will follow immediately at Brown Wynne Funeral Home.